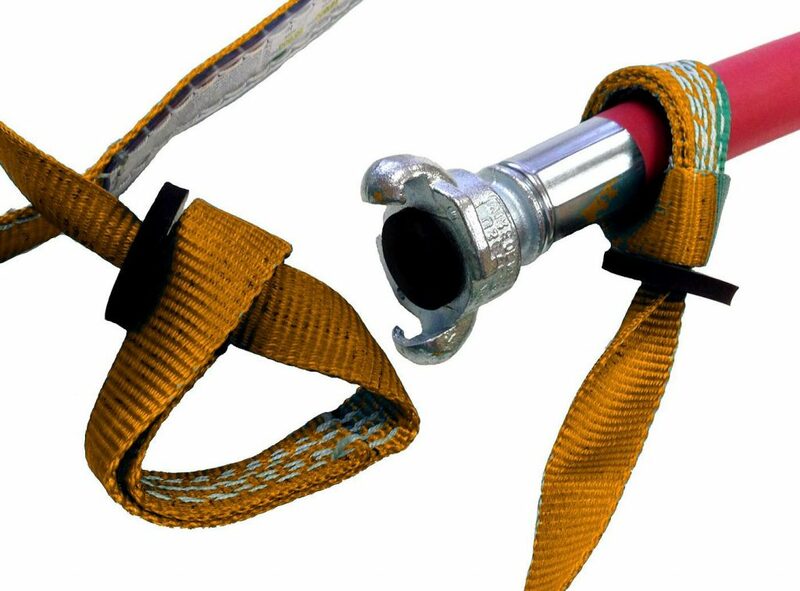 Nylon hose safety restraints are a durable and versatile alternative to hose safety whip check cables. In the event of a hose connection failure, the nylon hose safety restraint will hold the hose in place, preventing extremely dangerous hose whip and containing spills.The adjustable loop ends slip over the hose coupling and cinch tight against a stop seal, restraining each hose to the next or to the equipment. Nylon hose restraints offer elevated pressure ratings than some steel cable restraints, and cover a wider range of hose diameters. 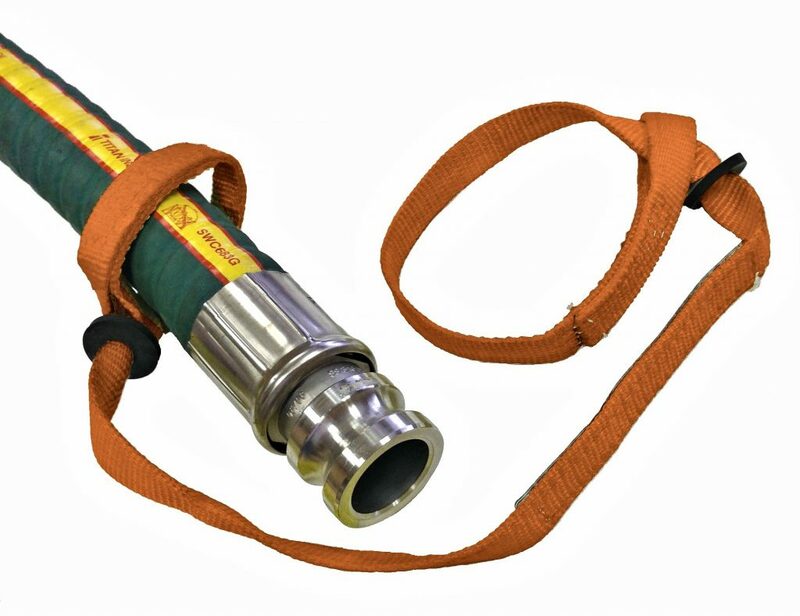 With adjustable loop ends and a variety of standard lengths, these hose safety restraints can be installed in applications where varying diameters of hose are connected. Available in 1 ply through 4 ply thick to handle low pressure through heavy duty service.